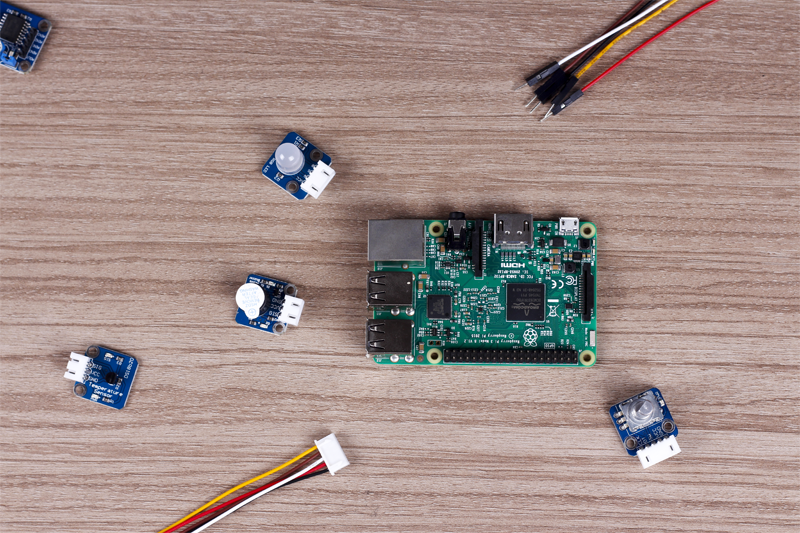 It's been a few months since the Raspberry Pi 3 model B was released and numerous have been delivered to enthusiasts around the world. We've also got it and gone through many tests on our kits and modules. And we're also developing fantastic products these days with this amazing "brain". But still let's check what's new for it (if you've seen too many articles or video about this, just skip to second part) and see how compatible it is with our learning kits, robots, and modules. The outstanding difference is the added built-in Bluetooth 4.1 (BLE, or Bluetooth low energy, included) and 802.11n WLAN, so hobbyists don't need to buy extra Wi-Fi or Bluetooth dongle any more! 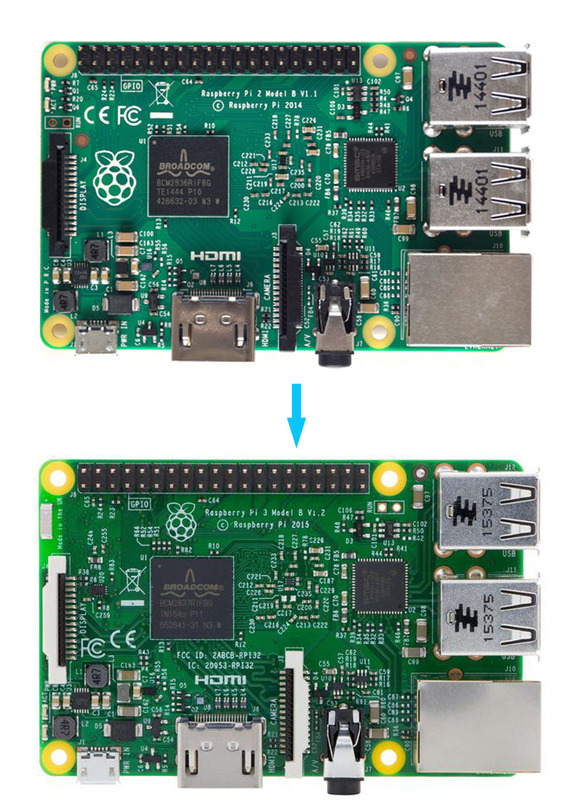 Just plug the USB mouse/keyboard, connect to a screen monitor via the HDMI cable and network by Ethernet cable, and a power supply of a large enough current (800mA, 2.5A as suggested by the official foundation) by power adapter or power bank, and then you can boot up the Raspberry Pi 3 model B! Though it looks very alike the 2 model B, the new 3 model B is more powerful and convenient in use. It adopts a BCM 2837 SoC, uses built-in quad-core 1.2GHz ARM Cortex-A53 64-bit processor, and supports an enhanced CPU efficiency of 300MHz (3D) to 400MHz (video), boasting a 1080p@60Hz display. In overclock, the 3 model B also has excellent performance. Under the overpressure of 2V, without any heatsink installed, the CPU overlocking can up to 100MHz higher. As for memory, it can be as high as 500MHz. Therefore, the overall efficiency is much higher than that of 2 model B. As the size and the related technical features of the 2 model B and 3 model B is the same, the kits suitable for 2 model B will also work with 3. 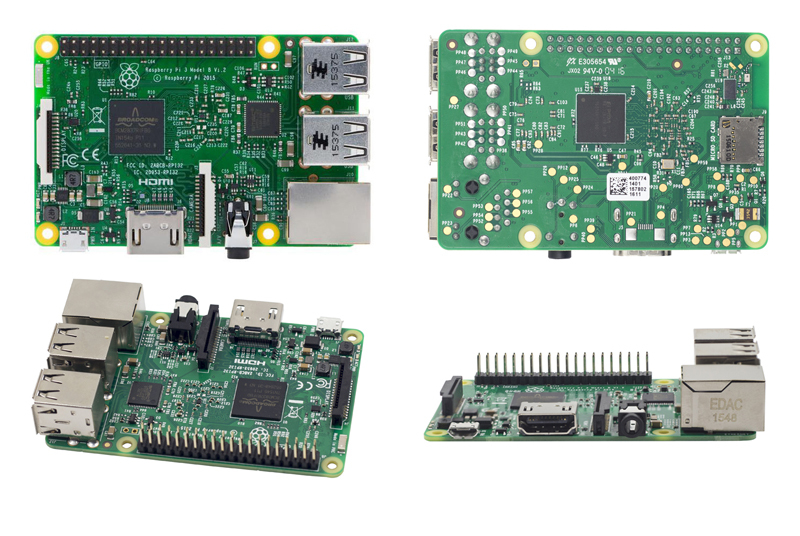 For example the Super Kit for Raspberry Pi can be applied with a model B+, 2 model B and 3 model B. The code is modified to adapt to the change. Also the Smart Video Car Kit for Raspberry Pi works with 3 model B. The modified code has been tested and updated onto our Github page. 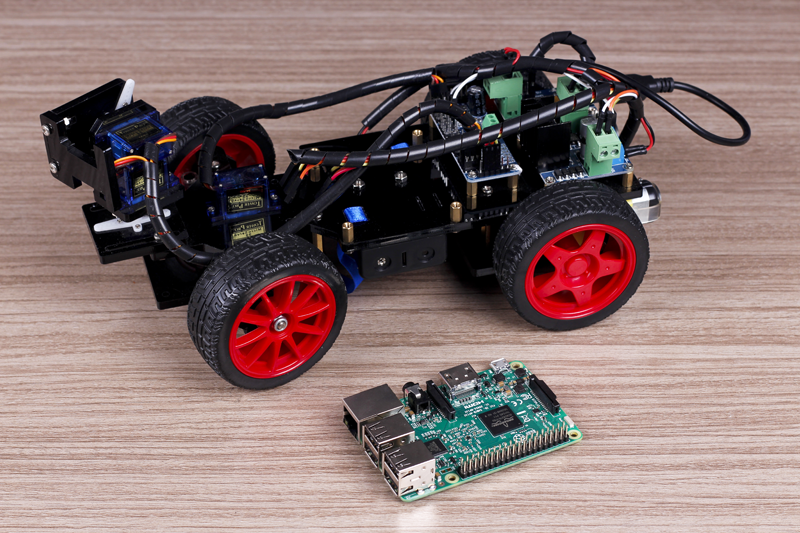 For how to control the car with your Raspberry Pi 3, please refer to our video tutorial.